Last week I posted a blog post on Scramblog, which outlined my thoughts on lifting for non competitive grapplers. It proved real popular. I’ve had a few questions about how I apply the method to my own training. I’m a non competitive grappler too, being a physical preparation coach is my job which means my training has to fit around clients, consultations and desk-work. Much like my clients I perform regular break downs on myself and assess where I was, where I am and where Im going. I’d like to think im pretty strong for a natural dude with horrid mechanics for everything but deadlift. Long arms are great for pulling, crap for filling out t-shirt sleeves. At 92-94kg I deadlift 255kg, bench 155kg, back squat 205kg, front squat 160kg and clean 130kg. I have had two LCL tears on both knees, a tendency towards patellar femoral pain if I don’t stretch my hip flexors and tibialis, in the past I have subluxated my right shoulder which can flair as AC joint problems if my pressing gets out of whack with my pulling. As a side goal at the moment im striving for 270kg/600lb deadlift. I run a triphasic training variation boiled down to its simplest parts. I have just finished an above 80% block, working through its eccentric, isometric and concentric parts. The focus on this program was front squat to give my knees and back a break from heavy back squatting in the first part of the year. Im now moving on to a 80-55% lifting block or what Cal Dietz would call high force high velocity block. I think the upper end of this is probably where most ordinary folks should lift. You can make a lot of progress lifting sub-maximally at high velocities. 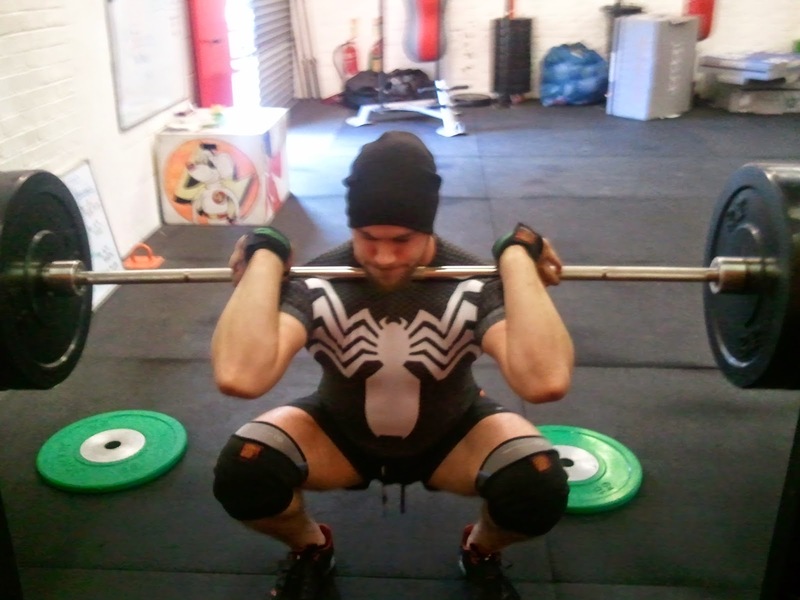 For the 80-55% block im moving back to back squat as my main training means. 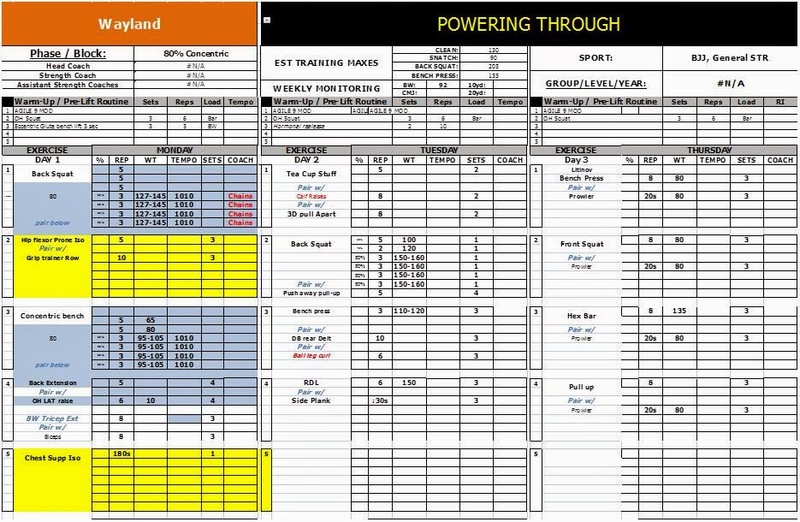 The program has two main lifting days, a conditioning day and an EMOM (not included for simplicities sake) Deadlift day. I do still follow a Bondarchuk complex type of set up. Omitted from this phase are explosive exercises. Having just finished a six week block with french contrast, I now switch to doing box jump as part of my warm-up. Clean grip OH squats are still part of warm-up so 2012. Litinov Sprints. I’ll usually pick 2-3 variations of the ones listed of what I feel like doing. Be sure to hit me up on twitter or facebook.